The Senate's top Democrat Chuck Schumer told the chamber he had reached a deal with Majority Leader Mitch McConnell -- in exchange for a pledge to address Democrat concerns over hundreds of thousands of immigrants brought to the country as children. 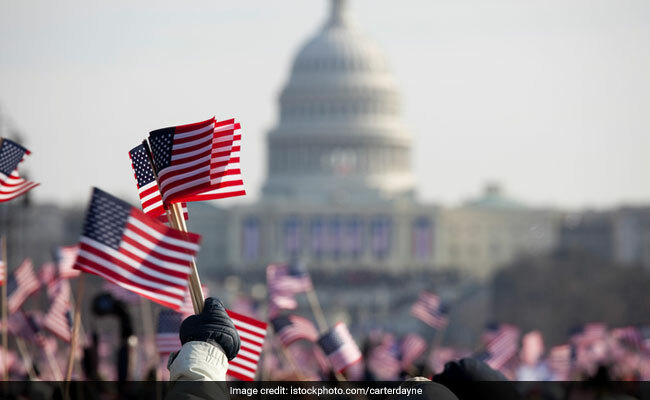 Washington: The US Senate on Monday reached a deal to reopen the federal government, with Democrats accepting a compromise spending bill to end days of partisan bickering that forced hundreds of thousands of government employees to stay home without pay. The impasse, the first of its kind since 2013, cast a huge shadow over the first anniversary on Saturday of President Donald Trump's inauguration. The Senate was poised to pass the compromise, but the shutdown will only end formally once the House of Representatives approves the measure keeping the government funded until February 8 -- which it is expected to do. "After several discussions, offers, counteroffers, the Republican leader and I have come to an arrangement," Schumer said on the Senate floor, referring to Majority Leader Mitch McConnell. "We will vote today to reopen the government." But he warned McConnell that he expected Republicans to make good on a pledge to address Democrat concerns over the Deferred Action on Child Arrivals (DACA) program that shields immigrants brought to the country as children from deportation, but expires on March 5. Hopes that the shutdown, which began at midnight Friday, could be limited to the weekend were raised when a bipartisan group huddled for hours on Sunday trying to end the standoff, but they ultimately failed to reach a deal. Then as Monday began, Trump goaded Democrats from the sidelines, accusing them of shutting down the government to win concessions on immigration, in service of "their far left base." "They don't want to do it but are powerless," he tweeted, referring to Schumer and other Democratic leaders. But Schumer said on the Senate floor it was time to get back to work, and lashed out at Trump. The bill needed 60 votes to advance in the 100-member Senate, meaning Republicans -- who have a one-seat majority -- could not maneuver on their own. Over the weekend, Trump encouraged the Senate's Republican leaders to invoke the "nuclear option" -- a procedural maneuver to change the chamber's rules to allow passage of a budget by a simple majority of 51 votes to end the shutdown. But Senate leaders have been wary of such a move in the past, as it could come back to haunt them the next time Democrats hold a majority. Essential federal services and military activity are continuing, but even active-duty troops will not be paid until a deal is formally sealed.